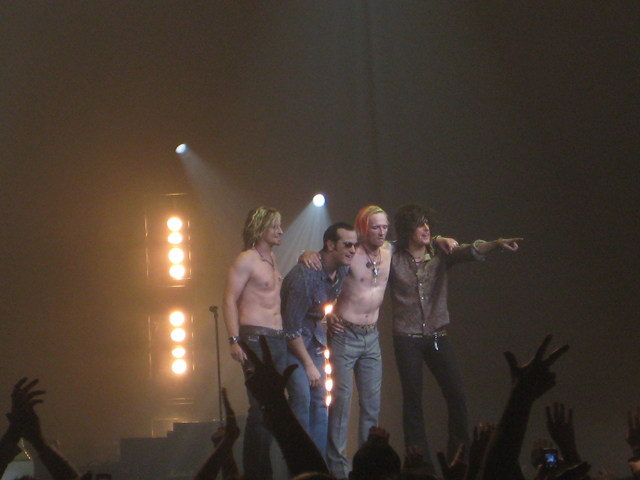 In my efforts to catching up with blog posts from the last 12 weeks, I found that I didn’t post about seeing Stone Temple Pilots live back at the end of September. I wrote about the new lineup of STP back in May, with Chester Bennington from Linkin Park joining up with the three other original members and creating new music together. 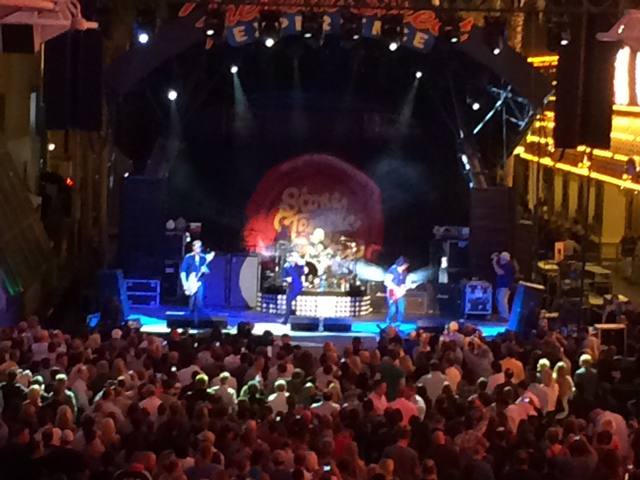 I’m a long time fan of STP since they first came on the scene in 1992. So any changes require some time to get used to. 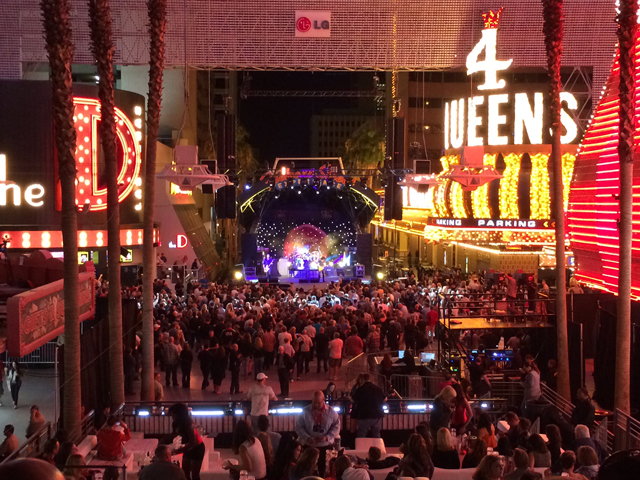 So I had the chance to be in Vegas the same night as their concert on Fremont Street Experience. And for under $30 a ticket, I drug my wife and we decided to see what the new STP would look and sound like. The verdict? I really liked the show. They played just about every hit with Chester on lead vocals. And it wasn’t filled with his trademark Linkin Park scream vocals. He performed as if he were standing in place for Scott. Similar vocals. Similar stage presence. No straining. Just strong and enjoyable. New songs like “Out of Time” and “Black Heart” had Chester adding his touch to them, which I appreciated. He commanded the vocals so well. And even obscure songs like “Church On Tuesday” and “Piece of Pie” were nice surprises, with Chester mixing well with Dean, Robert and Eric. Very glad I went to this show. Along with some live performances, the new lineup has created an EP of 5 new songs. The two previous new ones that I heard live plus three others. For as adventurous as creating new music is when you have a replacement lead singer, sometimes it does work. And I appreciate just 5 songs instead of an entire album for now. Give them a spin and then see what happens. So can this work long term? Chester has said his first commitment is to Linkin Park. And Scott has made a few revolving door returns as the front man for STP. But this time, it might just be permanent. Well, I’ve seen STP enough times in the past as memories if Scott never returns. As a huge Linkin Park fan I have to hope this is just a side project for Chester. I dunno, maybe he can pull off being in two bands at the same time. Really should get around to listening to STP with Chester singing. Chester makes these 5 STP songs his own here. Even though it’s still very much an STP record.